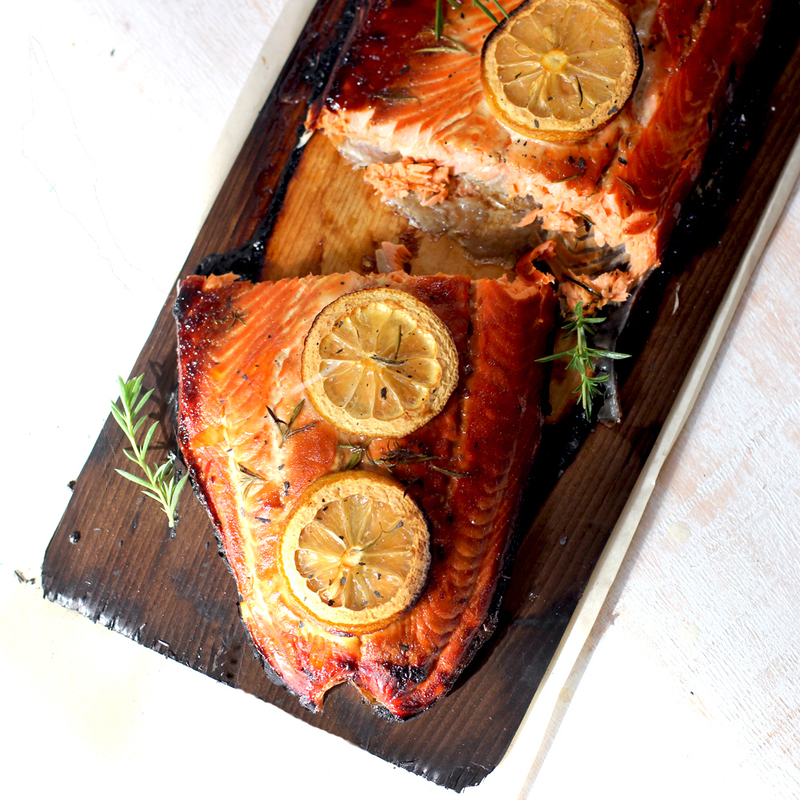 If you've never grilled salmon on cedar planks before, I urge you to give it a try. The planks are easy to use and the rewards are many. Grilled on planks, salmon stays moist and tender while maintaining it's shape. Cleanup is minimal. Prep is a snap. To prevent burning, submerge the plank in water for at least 2 hours. It will float to the top so weigh it down with a heavy object. Add your favorite marinade to the salmon 30 minutes before grilling.